The holidays are here, which means it is time to start thinking about gifts for kids This can be a rather costly time of year if you are not careful to save money, and the end result can be lots of stress served up with a side of debt. 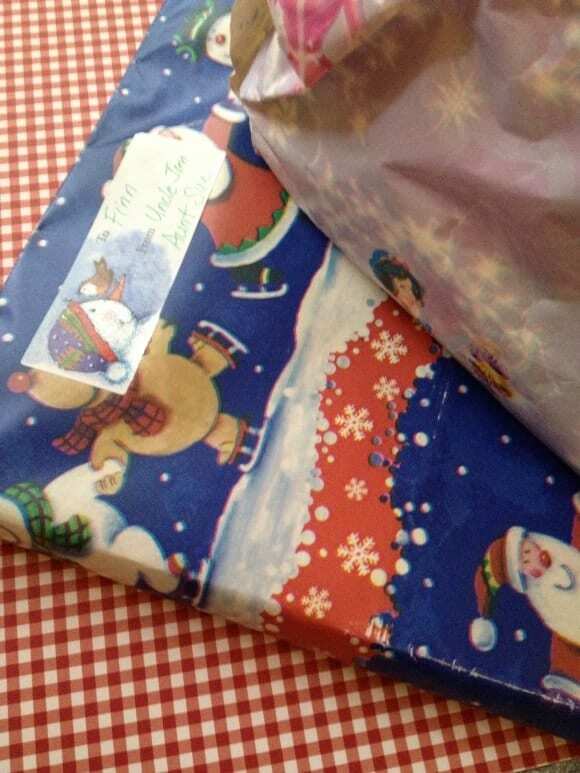 If you have been wondering how to save money on gifts for kids, you are not alone. The good news is, there are plenty of ways to save and save big. Take a look below at how to save money on gifts for kids in seven easy steps. It is a lot easier than you may think! 1. Scope out your Sunday circulars. During the holiday season, many toy companies offer high value coupons good on a variety of dolls, electronics, and other hot toys. Check your Sunday paper for special sales fliers that offer these coupons, then plan your shopping strategy using them. Every penny you can save helps, so start clipping! 2. Think out of the toy box. Children love toys, but sometimes non-toy items are less expensive and still make great gifts for kids. Check out www.groupon.com or www.livingsocial.com to see what experiences you can find at a bargain. Dance classes, horseback riding lessons, karate classes, and other experiences available in your area can all be purchased for less and make great gifts. Stores such as Kohls offer rebates back on some of their larger toy items. Whether you are searching and buying online or in store, keep your eyes peeled for items that offer a mail in rebate. Sure it takes a little work to mail all of the items in, but the end result can be as much as $20 back on your purchase. Talk to your children about the true meaning of the holidays and invite them celebrate those meanings instead of just the gifts. Ask them to share one large gift idea and a few smaller gift ideas or needs. This way, they are not holding you to huge expectations that may not be able to be met. It will also help them think about needs vs. wants, and help them appreciate what they do receive more. 5. Look for frugal fillers. Your dollar store is a great place to find some stocking stuffers for less. You can snag toothbrushes, kiddie toothpaste, socks, and other fun yet necessary items that make great gifts. Fill those stockings with inexpensive dollar items from your local dollar store and see how much you can save. 6. Give the gift of time. Instead of spending more money on your child, spend more time on them instead. Give them handmade coupons good for an hour of your time doing an activity of their choice. They will love being able to redeem these whenever they need an extra play buddy! 7. Don’t forget about Black Friday deals. Black Friday offers lots of video games, DVD’s, and toys for less. Keep your eyes peeled for specials you want to take advantage of on Black Friday. See if these offers will be valid online so you don’t even need to leave your house. You can typically find items for just a few dollars on this whale of a sale day, so stock up and save. If you were unsure of how to save money on gifts for kids, hopefully these seven tips have helped shed a little light on the problem. You can still enjoy a memory filled holiday without going broke, you just need to be prepared, plan well, and stay realistic. Combine those three things with these seven tips and see what a difference it makes. Happy shopping! Do you have any other great tips on how to save money on gifts for kids? We’d love to hear them! Handmade gifts are an awesome way to show your kids how much you care without breaking the bank. My favorites are special jewelry and cookie mix jars (with a promise to help them make the cookies!) or even cocoa mix jars! Great post! There is nothing better than having a debt free Christmas. Thanks for sharing. You forgot my favorite way – MAKE THEM SOMETHING. We all have things that can be re-purposed to crafted in to toys and other items. I make my kids a couple homemade gifts every year, as well as my nephews and niece.